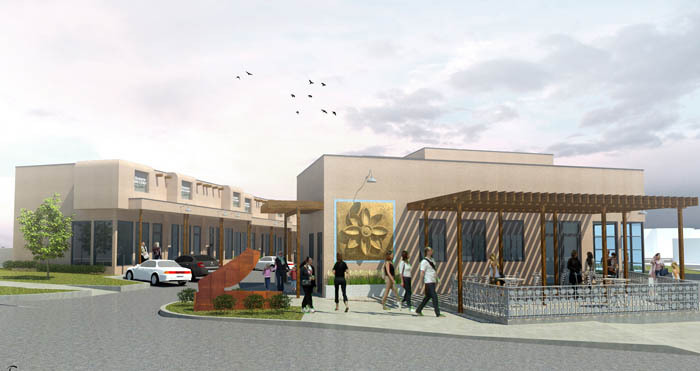 The Foraker Company, headed by Jeremy Foraker, is planning it's third major project in the middle of the Paseo District, a development dubbed the Pueblo at Paseo that will replace a highly visible vacant lot with a mixed use complex. The Peublo will feature retail, gallery, and office space in two buildings, each with second levels and large balconies. On the south end there will be a ground-level patio and adjoining space for a restaurant. The project was designed to allow for spaces as small as 300 square feet, which will offer something unique to the gallery or business owner only needing an intimate space. The plans come just as another Foraker project is set to start construction very nearby. 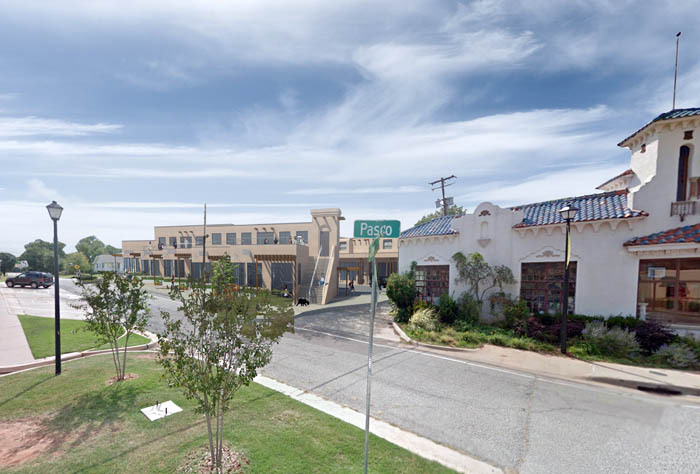 Via Paseo will feature a restaurant with a large patio headed by Shaun Fiaconne, who owns and operates Picasso’s Cafe. That development will also include a coffee shop and office space. In addition, Foraker has already started extensive renovation on another key property in the area, the Market at Paseo which is comprised of 32 apartment units and a large central courtyard. Adam Lanman with Sam Gresham Architecture is the architect. 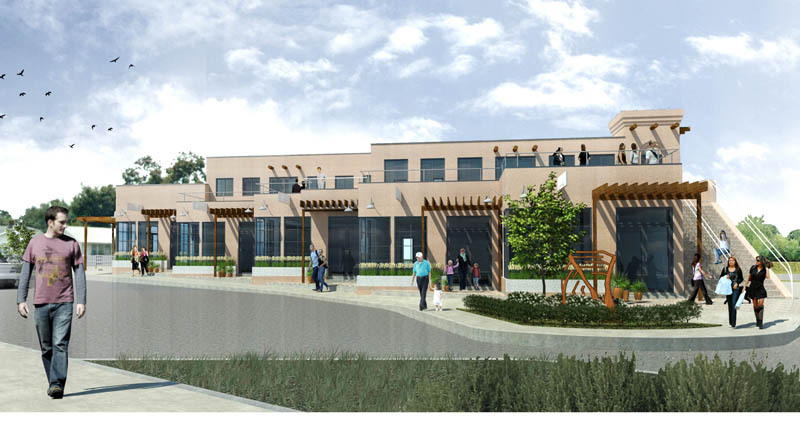 Plans for the Pueblo will be submitted to the Urban Design Commission in May. Good infill. I like the idea of splitting the property into the two buildings as long as the "back side" of the building facing Dewey is handled well. The Paseo is definitely OKC's most unique urban district and is arguably farther along than any of the other districts. I very glad to see it included in OKC's renaissance. Wow, this is nice and fits in well, but is different. I can't wait to see it built! Love the Sante Fe style for infill here. Should fill up with businesses quickly. The area could start to feel a little more like old Scottsdale. Paseo if finally starting to feel the effects of interest along 23rd and may signal a turn around for the neglected area up to 36th. Bet we see a lot more rehab and upkeep on those run-down and poorly maintained houses north of Paseo. Who is the architect? It looks good. Adam Lanman with Sam Gresham Architecture. That entire area has already come a long way since I moved back in 2012 as I remember driving through there and seeing boarded up homes everywhere. It isn't as much the case now. Definitely looking forward to the area continuing to gentrify. Houses in that area have jumped in value pretty dramatically in just the last couple of years. The Dewey frontage is GREAT…Love the terraces and really really wish we would get more things like that in OKC. The 2nd building seems to have nice architectural features, but it seems to be an afterthought? I mean, the sidewalk is not connecting to the greater sidewalk, so there's no way for a pedestrian to approach this building without walking through a parking lot (not the end of the world, but neither ideal). I also really hope they revise just slightly and take the windows all the way to the West on the 28th frontage, otherwise it's kind of awkward and uninviting to anybody passing by from the West. And I LOOOOVVVVVEEEE that stair case. Absolutely beautiful. Wow. Great infill. Appropriate, too. This project is awesome. Looking forward to seeing how Dewey is treated, though. The staircase is a phenomenal example of solving an access challenge with a unique solution. Reminds me of a Mayan pyramid. Unique..yes..more developed I would say no. Paseo needs to connect to Uptown. I remember back when I was a kid and Paseo put up the Adobe gateway signs on 23rd..that connection has been decades in the making. I view Paseo and Plaza as sisters. Plaza is younger and hipper, while the establishments in Paseo are often a lot more upscale than you realize if you don't frequent there. 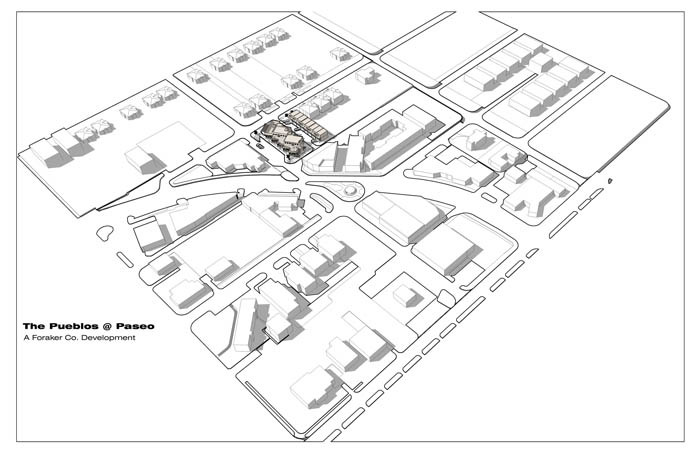 Plaza is more developed but similarly needs to connect to Classen. Paseo is not yet "out of land." Usually people butcher Sante Fe themed adobe designs to where they look liked glorified Taco Bells, but this is on point. Absolutely love it. As an aside, to answer a previous blurb, the Paseo area is hot. Maybe a little too hot. I know Positively Paseo, who were building and rehabbing homes, was pretty much run out of the neighborhood because lot and RE prices were getting so high. Its weird because there are still some rough blocks and abandoned lots. Such price appreciation seems premature. Personal story: I had friends who looked in this area along with Jefferson Park for 2 years and in that time only 3 homes came on the market in their range (up to 175K) and they were vastly outbid all times. They threw in the towel and bought a Home Creations box in Yukon last November. Oh well. 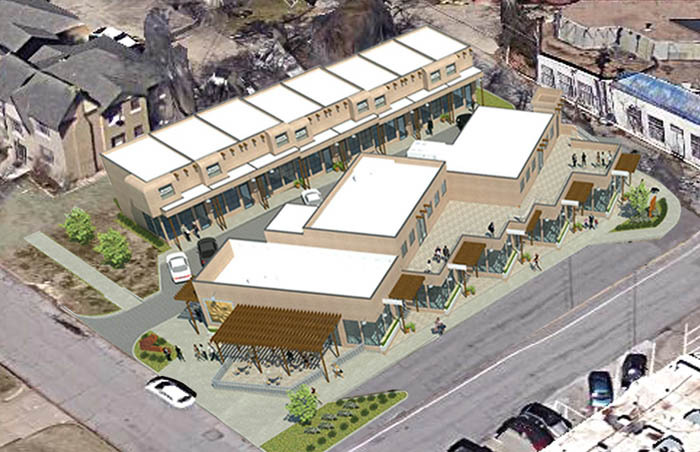 Well Positively Paseo is a developer of affordable housing. That's what I do, and trust me, when we get priced out of a neighborhood, that's a good thing. Oh definitely not saying its a bad thing. But I have to think that a premature surge in property values will snuff out any progress for a neighborhood that still isn't "complete" yet. I feel the same thing has happened with Central Park. I would put Paseo on roughly equal footing as Crestwood. And yet property values in Crestwood are much more reasonable, even when you consider that Crestwood doesn't really have a walkable self contained commercial district but it is still a bike ride away from the Plaza. I think the biggest problem in Paseo is that all of the great storefronts are taken up by artists (some of them hobbyists) who keep very irregular hours. It causes the district to be mostly lifeless except for district-wide events like First Friday. What would actually be ideal is if those artists moved into some of this retail space and freed up the older part of Paseo for more shop/restaurant/pub activity. But that's not likely to happen of course. Either way, looks like a good addition. Crestwood also has a quality public elementary school (Cleveland) which, perceptually at least, the Paseo currently lacks. My since is that property values in the Paseo are responding more to the commercial growth in the area, while Crestwood you pay a (smaller) premium for access to Clevelend Elementary. It might happen when rents become too high for hobbyists. Gentrification happens on a retail level too. Only those with actual sales could stay if rents escalate. By and large, it appears they are wealthy "artists" paying artificially low rents and keeping minimal hours open for business. Joy Belt controls all of the existing properties and will keep rent low for artists. From what I can tell, this is operating exactly as John Belt intended and how Joy intends to continue. Ladies and Gentlemen, a haberdashery and Craig's Emporium are the only non-art/food establishments in the area. Except for First Friday and Festival, the restaurants and area photographers generate all of the sidewalk traffic. In my opinion, due to the limited hours and appeal, the galleries are a detriment to vibrance of the street. Moreover, during ten years in the immediate neighborhood I've never seen someone carry a purchase from a gallery outside of Festival, and those have been limited to small prints and jewelry. In essence, Paseo Street exists artificially at the pleasure of Mrs.Belt and will continue to do so until she sees fit to change it or is no longer in control. Yes, let's eliminate a true art district and get to things really worthwhile....more bars and pizza places. LOL. Now the board is complaining about artists being subsidized by capitalists who apparently don't care about making more money. Interesting. I like the galleries in the Paseo. I wish they got more business and as a result were open more hours but I think they are an asset to the district and to OKC. I want to see more bars/restaurants and street activity in the Paseo but not at the expense of it being the true arts district that it is. Luckily I think the galleries can remain in place AND the district can grow. I may be in the minority but I think the Paseo area is one of OKC's most valuable assets and I think it should be better marketed. Foraker said construction is set to begin in late summer on Via Paseo, pending approval from the Urban Design Committee. 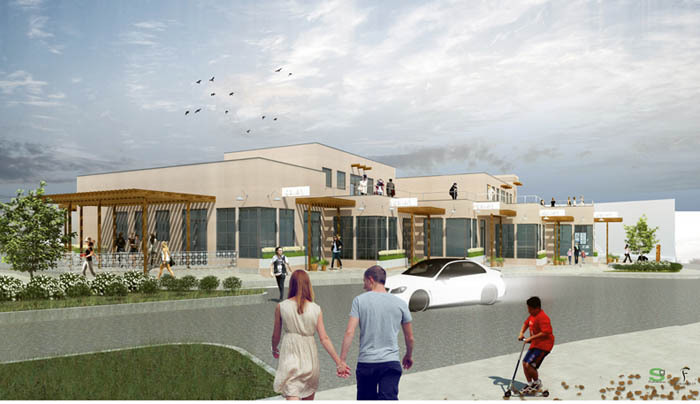 Construction is set to begin on Pueblo at Paseo next year. Fiaconne opened Picasso’s with business partner Kim Dansereau in 2009. He thinks Paseo is far more ready for new restaurants, shops and office space than it was in 2009. 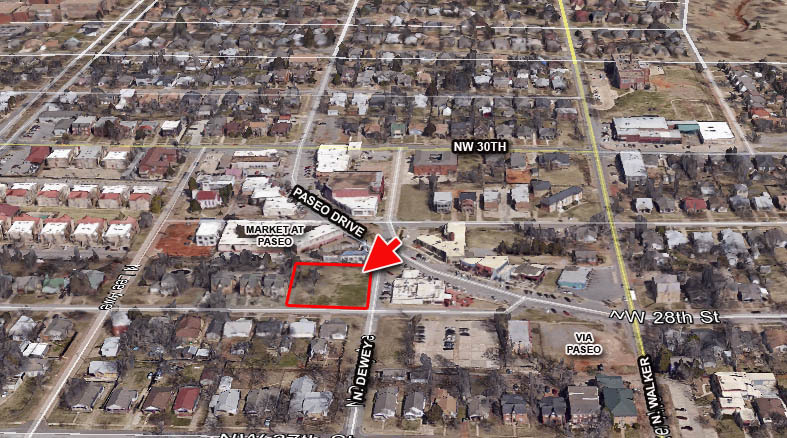 Retro Metro OKC: Learn about the history of the Paseo - at the Paseo Plunge?